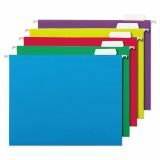 Universal Deluxe Bright Color Hanging File Folders, Letter, 1/5 Tab, Assorted, 25/Box - Organize files by color for easier identification. 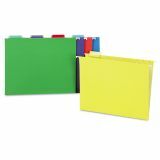 Match with same color interior folders, sold separately, for quick filing. 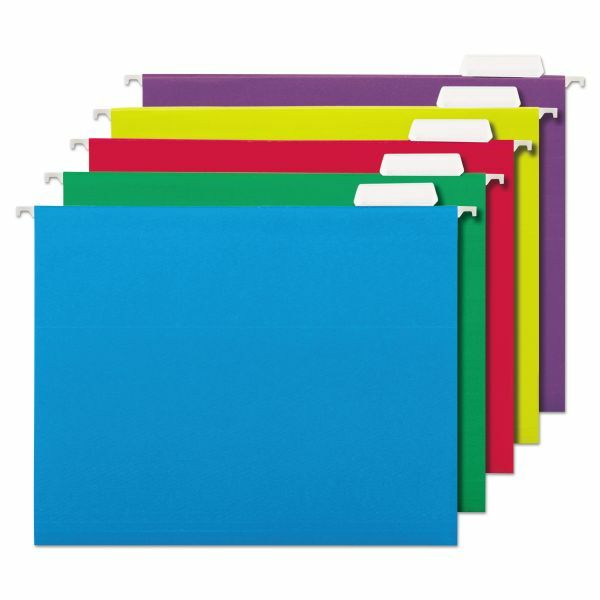 Vivid folders are constructed of 11 pt. stock. Slotted font and back interior panel. Includes clear index tabs and inserts.